Live Music, DJ/EMCEE, Duo (piano, vocals, percussion, guitar). Weddings, Corporate and Private Events, Restaurants and Wineries in Southern California: Orange, San Diego, Los Angeles Counties, and Inland Empire. 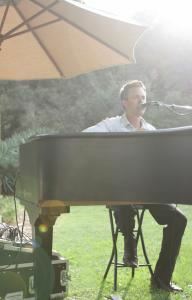 Brian performs regularly at Ponte Winery in Temecula. Mike and Brian perform regularly at Mastro's Steakhouse in Costa Mesa - Most Sunday and Monday nights from 6:30pm to 10:30pm...Call ahead to confirm! !